I remember my old house when I was a child, with our long driveway up to the house with grass on either side of you. Try not to go on the grass or you will get stuck or muddy. 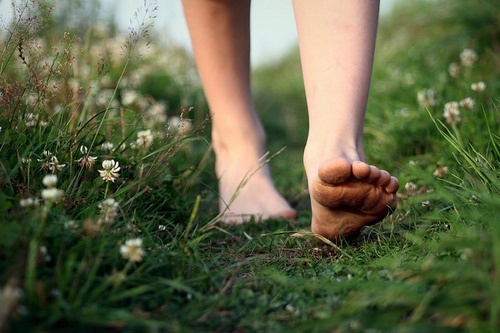 I remember when I came home from school and I was sometimes barefoot and I use to walk on the grass going up and the watery mud used to squish through my toes. At the house you will see a faded red balcony which has seen better days and where sometimes I sat and watched what was happening in the driveway or watched fireworks which I did one night with my dad and brother because I couldn’t get to sleep. There was a high wooden gate which the dog tried to jump to visit us at school. Beyond the front gate you will see our yard which is a mix of grass, concrete, dirt and all odds and pieces like a dog kennel where we put the dog if he was naughty or when we were not at home. Anyway you see pongas against the wire fence so the dog does not jump it. When you look past the fence you will see our other back yard, the park where we go sometimes to play or to get wet with the sprinklers. Well you are in the front yard now and you can see the park. If you walk around the house through the trees to the back yard where there are trees everywhere there is our clothes line and a really big tree that has pine cones growing on it. I used to climb it all the time thinking I was a monkey. If you look more closely you will see tracks from our motorbikes going round a small bush through the trees and around our front yard and there use to be a line of us on our motorbikes like dad in front with my sister on the bike sitting behind him and me and my brother fighting for second spot. Go back the way you came and that will lead you to our wooden deck with a red front door. Knock and come on in.